Ten years ago, Skubic’s team developed hydraulic sensors that can be placed under a bed mattress to measure a person’s heart rate and respiration rate. The team used those sensors on this hanging bed to gather data for the mathematical model used in this study. Giovanna Guidoboni, Marjorie Skubic and a team at the University of Missouri are currently working to develop a standardized model to interpret the results of a ballistocardiogram that could provide an additional approach for early detection of various cardiovascular diseases. Ten years ago, Skubic’s team developed hydraulic sensors that can be placed under a bed mattress to measure a person’s heart rate and respiration rate. They noticed the waveforms were changing over time as people aged, indicating there was additional information coming from those measurements that could be used for tracking health changes. Guidoboni joined Skubic’s team and created a mathematical model that allows the team to understand the additional information from the ballistocardiogram and move one step closer to a standardized model. The study, “Cardiovascular function and ballistocardiogram: a relationship interpreted via mathematical modeling,” was published in IEEE Transactions on Biomedical Engineering. Both Guidoboni and Skubic are professors in the Department of Electrical Engineering and Computer Science in the MU College of Engineering. Guidoboni is also a professor of mathematics in the MU College of Arts and Science. Other authors include Moein Enayati, James Keller, Mihail Popescu, Laurel Despins and Virginia Huxley at MU; Lorenzo Sala of the Université of Strasbourg; Riccardo Sacco of the Politecnico di Milano; Marcela Szopos of the Université Paris Descartes. 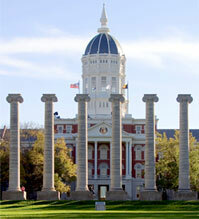 Funding was provided by the University of Missouri and the Center for Eldercare and Rehabilitation Technology. The content is solely the responsibility of the authors and does not necessarily represent the official views of the funding agencies. The team would like to acknowledge the contribution of David Heise of Lincoln University in the development of the hydraulic bed sensor while he was a graduate student at MU.